Watch: White House Press Secretary dodges question on Israeli construction in Judea & Samaria, says Trump views Israel as "huge" ally. President Donald Trump's administration refused to be drawn Tuesday on whether he backs Israel's decision to approve 2,500 new settler homes in Judea and Samaria. Earlier, Israeli Prime Minister Binyamin Netanyahu and Defense MinisterAvigdor Liberman gave the green light to the new construction in Judea and Samaria. The previous US administration, under Barack Obama, had viewed such building as "illegitimate" and in recent months warned that such construction could derail hopes of a negotiated two-state solution. But spokesman Sean Spicer, at his second White House press briefing since the new president was sworn in on Friday, declined to give a view on Israel's decision. "Israel continues to be a huge ally of the United States," Spicer said, when asked about Trump's perspective on the Israeli plan to implement the construction plans. 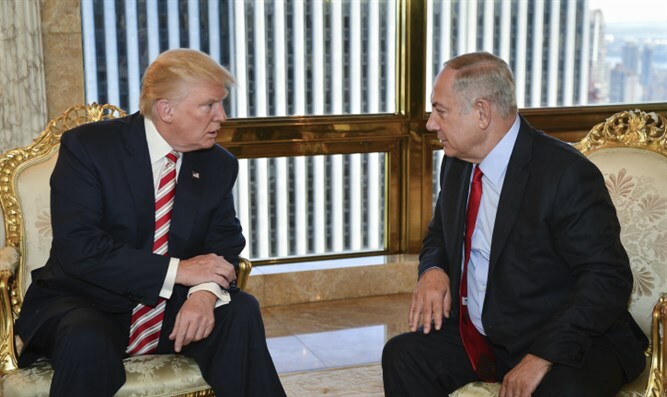 "He wants to grow closer to Israel to make sure it gets the full respect in the Middle East," he continued. "We'll have a conversation with the prime minister." Trump's choice for secretary of state, former oil executive Rex Tillerson, has yet to be confirmed by the Senate and State Department officials had no comment on the announcements.